49 authors under 45 from across Asia have today been published in a themed edition of the Griffith Review, one of Australia’s leading literary magazines. 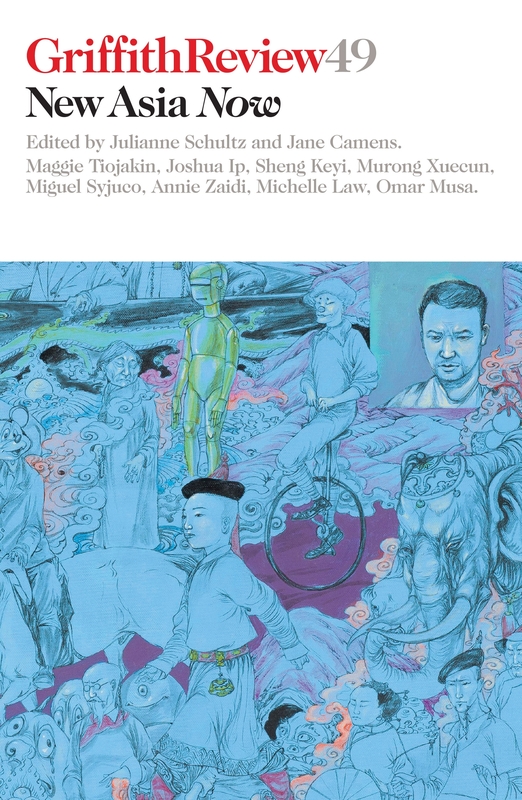 Griffith Review 49: New Asia Now, edited by Julianne Schultz and Jane Camens, and published in parallel with an edition of Asia Literary Review, takes a journey through the region’s diversity, featuring a new generation of literary stars. All the contributors were born since 1970 and so, despite national and regional differences, they have grown up during a period of extraordinary change: countries decolonised, civil wars fought and won, political systems turned inside out, authoritarian states fallen to democracies. In the process, relentless economic growth has lifted the standard of living in the region at an unprecedented pace, and has created the largest middle class the world has ever known. The contributors explore the meanings of these enormous changes in country after country, in family and community, for the diasporas and for those who stayed in traditional homelands. Their contributions are feisty, elegant, thoughtful and curious about pasts that have largely been swept aside, for fear that narratives of what went before may get in the way of modernisation. Some pieces explore what was lost along the way. Overall, New Asia Now reveals the shifts that are bringing the continents of Australia and Asia closer; they bring Australian readers in particular into a greater awareness of their place in the larger regional picture. New Asia Now is available here in both print and electronic formats.